Here are some lovely new ice lolly ideas, that you can make at home, using natural ingredients and lots of lovely Summer fruits. I wrote these recipes for The White Company http://blog.thewhitecompany.com/eat/healthy-ice-lollies-hot-summer-days/ so if you like any of the tableware too (see images), have a look at their beautiful new Summer Home Collection. Staying hydrated is key in this hot weather, and I'm trying to sip water throughout the day. Add herbs, fruits and slices of cucumber to your water for some natural flavourings. I love these glass bottles for keeping on my desk too, as I am working. 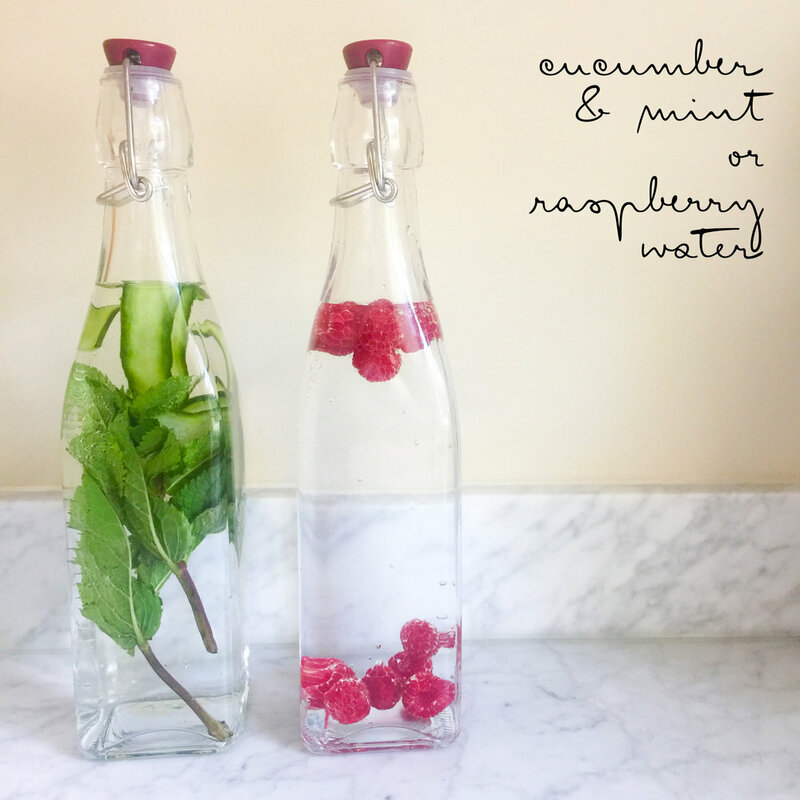 My daughter loves the colours and I never give her sugary drinks, so this is a great alternative. For little ones, I would make chilled teether rings from cucumber. To do this, peel and remove the core and cut into chunky 2cm circles, then use a cutter to cut out the center and make a ring. Freeze over night and voila a little edible cooling ring, great for teething too! I will also be sharing my quick blended gazpacho recipe in the next few weeks ~ perfect to make now when tomatoes are really at the best! This is the time for picnics, which is such a fun thing to do with little ones. I keep a couple of picnic blankets by our front door and I love taking my daughter off to a local garden square or park for a impromptu dinner outdoors (food always tastes better!) And the bonus is there is much less to clean up. You just need some handy jam jars, kilner jars or glass storage pots (I like wean green) and disposable wooden cutlery to pack everything in.